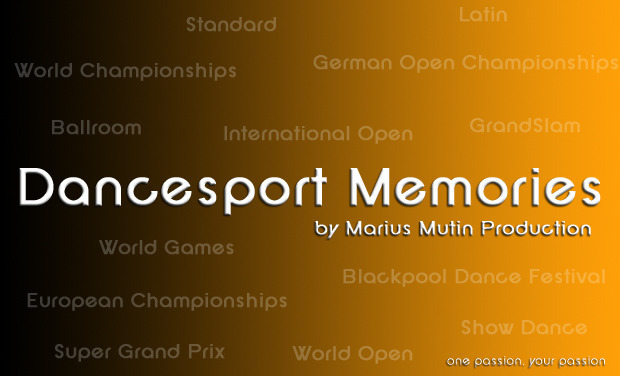 DanceSport Memories is created by a professional photographer and videographer specialized in DanceSport (former dancer) for the world of DanceSport (dancers, officials, organizers, fans ...). DanceSport Memories give the opportunity for thousands of dancers to receive more than 50,000 photographs and get access to hundreds of hours of video recorded during the greatest events (Super Grand Prix, European Championships, World Championships, World Games) throughout the world (Europe, Asia, Australia and America). In 2011 & 2012, 42 Events including 2 Professional Division Super Grand Prix, 12 GrandSlam, 8 European Championships, 16 World Championships and many International Open & World Open. I also need ALL OF YOU to continue in 2013 with nearly 50 Events. Always more videos, always more pictures, always more memories, YOURS. The funds will be used to invest in new equipments to bring you the highest pictures of DanceSport. And these funds will be used to pay my travelcosts to cover the events (nearly 50 in 2013). 40,000€ for travelcosts (50 000 km / year (0.46cts per kilometer), 10 Flights (450 € per flight), Hotel and meals expenses (250€ per weekend)) for a total of 50 events . Without you.. nothing will be possible. SUPPORT, RECEIVE and SHARE this project. Thousands of pictures are waiting for YOU! ART ENLARGEMENT - MEDIUM SIZE - LIMITED EDITION | All the pictures of the year in HD + the Official Video + 1 Art Enlargement (Size: 3:2 - 50x75cm | Square - 60x60cm | Pano - 40x80cm) printed on a Aluminium Dibon with mural support for a higher Definition and a higher Resistance. Delivery under high protection. Select your picture here: http://www.mariusmutin.book.fr/galleries/art-enlargement/ Or let me know if you love especially one of my other pictures, about you favorite couple or dancer. ART ENLARGEMENT - LARGE SIZE - LIMITED EDITION All the pictures of the year in HD + the Official Video + 1 Art Enlargement (Size: 3:2 - 80x120cm | Square - 100x100cm | Pano - 60x120cm) printed on a Aluminium Dibon with mural support for a higher Definition and a higher Resistance. Delivery under high protection. Select your picture here: http://www.mariusmutin.book.fr/galleries/art-enlargement/ Or let me know if you love especially one of my other pictures, about you favorite couple or dancer. ART ENLARGEMENT - EXTRA LARGE SIZE - LIMITED EDITION | All the pictures of the year in HD + the Official Video + 1 Art Enlargement (Size: 3:2 - 120x180cm | Square - 140x140cm | Pano - 90x180cm) printed on a Aluminium Dibon with mural support for a higher Definition and a higher Resistance. Delivery under high protection. Select your picture here: http://www.mariusmutin.book.fr/galleries/art-enlargement/ Or let me know if you love especially one of my other pictures, about you favorite couple or dancer.